Wow. What a week. I'm happy to report that Artoo was discharged from the Hospital Friday afternoon - and we are SOOO happy to be home. For those of you who don't know, Artoo has an extremely rare neurological disorder called Moebius Syndrome, and one of the things he struggles with is handling any excess secretions that are associated with things like viruses. Artoo tested positive for the Boca Virus, which caused a respiratory tract infection, which led to full blown pneumonia. 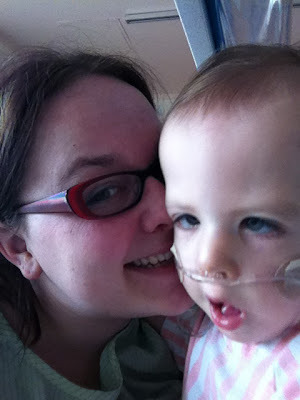 I won't post too much here about the 'joys' of being in pediatric isolation, but Artoo spent the better part of five days on oxygen until the antibiotics were able to kick in and do their job. He's still not 100% yet. He's no longer on oxygen, but he still does require pretty frequent suctioning. I want to say thank you to everyone who left comments, and posted on facebook, or sent me emails saying that we were in your thoughts and prayers. I didn't actually get a chance to read any of them until Wednesday or Thursday, but when i did - it was overwhelming to feel the love and support from our extended Zentangle Family. This week's challenge is to make use of the Zentangle trick - auras. 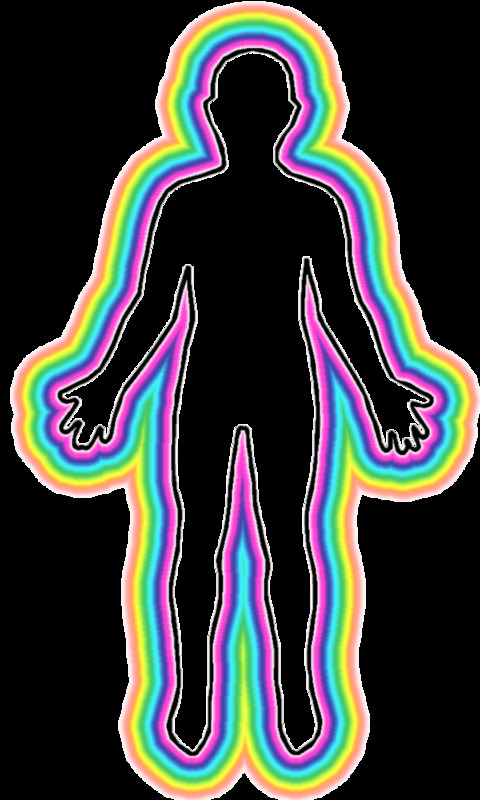 An aura is the line that outlines a shape or tangle. 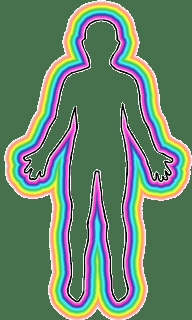 As you repeat the outline, the aura grows and expands and changes. 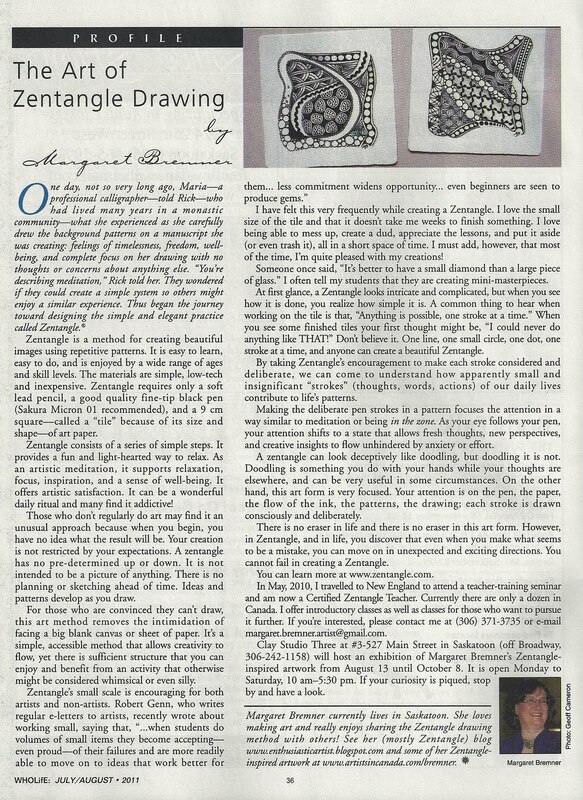 There are several tangles that utilize auras in their drawing steps - such as the Official tangle Crescent Moon or Margaret Bremner's Dansk is another great example, but auras can also be used to enhance your Zentangle. Here's my tile - ugh, i'm not too wild about it, but i kinda have a policy to post my tiles, even if i think they're crap. lol. It's all about the process, not the product for me, anyway. In my tile, i was trying to experiment a little bit. i think where my tile went horribly wrong was when i tried playing with auras and Tripoli (the triangles in the top part of the tile) i really liked the idea in theory, but in practice it needs a bit of work. lol. You can see where i did some auras around a few triangles, and in other triangles i tried doing auras on the inside. So, this week's challenge is to play around with Auras! Have fun! I am so glad you are home and doing better. It was a lonely week without you! What a fun challenge. I understand what you mean about the process being the most important part. Thanks for your inspiration! Glad to hear you are back home, and Artoo is getting better - you both look great! I'm looking forward to this week's challenge as auras are something I haven't done much with. Best wishes for a healthy week. I am so glad that Artoo is home and doing better. Good thoughts for a continued recovery. I too, don't always like my tiles but I've learned that pushing though helps me a lot because there is always a lesson/tip/trick that I find when doing the challenges. Thanks for all of your efforts. I hope you get some good rest. Wonderful news about Artoo! You are an awesome mother. I'm glad you Baby's back home and you're a great Mom and lucky to have time to spend at the Hospital with Artoo. I bet the Nurses like you. More time they have to tend to other sick patients when he's admitted. It must be scary for a Baby to be left at the Hospital with Strangers and their parents not around. He's looking good. I love putting Auras around tangles. Auras does inhances the designs. Laura, It's so good to have you back and to see Artoo is doing better. My prayers are still with you that he continues to get well. I'm glad he's doing better. I'll continue praying for him to get back to normal soon. Laura, so glad to see that you and Artoo are doing well. Thanks for another great challenge. What a relief it must be to be back in your own home! Hope Artoo continues to improve. I'm really pleased to hear that Artoo is back home, it must have been a tough week for you. I really enjoyed that challenge, think I may have to play with more auras later in the week. it's really nice that things are better, what an experience for you two!! with the frequency of these infections, do the Drs. talk about resistance to antibiotics? Great challenge. Good to hear that Artoo is on the mend. Glad to hear Artoo is feeling better! Thanks for the fun challenge! So glad your little guy is home and doing better. Great idea for a challenge too! I'm so glad Artoo is home! Thanks again for a wonderful challenge! I don't know how you do it every week with all of the other things going on in your busy life! But I sure am glad you do! Lots of auras going on in your zentangle! So glad to see you and Artoo are home. I'm sure you're both much happier there! Thanks for taking the time to think of us and continue your challenges! Hugs! Bright auras all around with your happy smile and great tile! Glad you and your baby are home again :) My ZT is up. So glad that Artoo is improving. I am so glad you let us know what was going on so we could lift you up in prayer, keep you in our thoughts, focusing positive, loving, and healing energy your way. Knowing your difficulties of last week made me appreciate this week's challenge even more! Glad to hear your little one is getting better - must be so hard for you all! I am so glad you, Laura and Artoo are home safe and recuperating in a familiar place. I enjoyed this challenge, so did two. Happy to see Little Artoo doing well and back home. We missed you guys!! Stay well, sending hugs, love and Prayers. OK, i took the leap and posted my first challenge. brand new to this idea - but love zentangle so far! glad Artoo is back home! still praying for him and you! Glad you are back home and Artoo in on the mend again! Hugs to both of you!!! Hope Artoo is doing better and better every day. I'm new to this. sorry to hear your son is sick. Happy to hear that your little one is on the mend. Lots of love being sent your way. Thanks for posting this challenge between you and Erin I'm finally doing Zentangles instead of just buying all the books! Hellllloooo everyone!!! Very glad that Artoo is recovering now and pleased for Laura. Glad to be back in challenge. Have a peek in my blog to see some works that I did for this challenge and works that I have done last week. Laura, you are an awesome MOM. I also have two young boys, but can't imagine what your normal routine is like with Artoo's care. I hope things are beginning to settle down and you had a chance to rest! Thanks for your continued Zentangle direction and inspiration, and letting us be a part of your family and creating the Zentangle family! Love your tile. Happy hugs to you, B-rad, Chewie and Artoo. Like your tile better than mine! I did get it done though... Am still new at this. :) Glad to hear that Artoo is home with everyone now. Glad to have a Challenge this week - lots of fun! Hope it everyone's last trip to the hospital for a long l-o-n-g time! Glad that Artoo's doing so much better. There's nothing quite like a hospital stay to make you appreciate being at home. Sorry, I accidentally posted my link on the last challenge instead of this one... I reposted it in the right place, but you still have a rogue link bouncing around somewhere in the linky machine. So glad that Artoo is doing so much better! I missed you! I had to "Zentangle" on my own inspiration...and I missed seeing everyone's! Now, I don't mean this to be giving you a bad time....just wanted you to know how much I enjoy the weekly challenges!!! And I hope for your sake and your family that we never miss one again!!! Best of health to you all!!! Looky that! I'm #66 entry on Challenge #66! Laura, I'm so happy that little Artoo is doing much better. Now, I hope you survive the chicken pox! Good luck. I always seem to say this, but it's oh, so true....you are one amazing woman/mother/wife! Thanks for all you do. Healthy wishes to you and yours. Hope your toe feels better. I have broken that same one three times now. I'm not as narrow as I think I am I guess! :-) Thanks again for the great challenge.